Creating a site structure structure document is your first step to improving a users experience of your site, as well as ensuring that each visitor is guided through your site to where you want them to end up, which would usually be your contact / product page. This is also important to help search engines rank your site well. A website structure is how to arrange a website’s content and links, in a way that will improve a visitors journey through the site, give them a clear and useful path through your site. On a website with large amounts of content, pages, products or blog posts this helps the user or search engine find what they want to find with ease by organising this content in a fashion that is easy to navigate, usually mainly with the top “main menu”. This is however equally important on small sites with a few pages, i.e home, about us, services, contact. In this example, your goal is still to help the user, persuade them to stay on your site, go where you want, instead of just bouncing off to the next site. A website structure will aid the visitor in where to go next. We do this with CTA’s (Calls to action) This is a button or link at the bottom of the landing page telling a user what to look at next. Site structure matters, it is an important part of SEO, if you are in the early stages of building a new site, this is a perfect time to create this document. If you are looking to improve the rankings, conversion rates or reduce bounce rates of your site, creating this document will hugely aid in this process. Google Bots will crawl your site and try to behave as a user would. 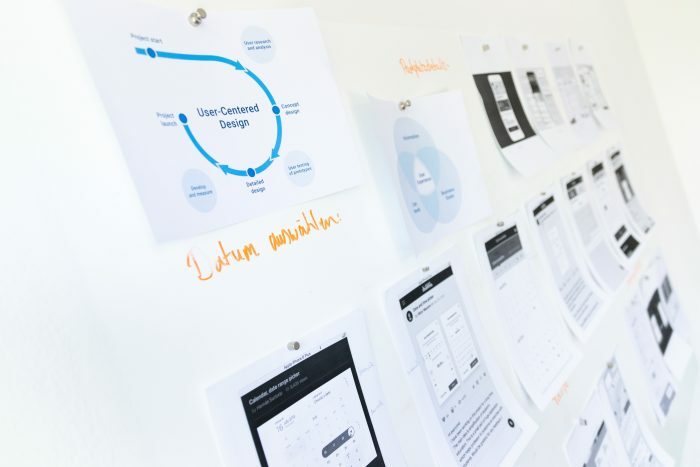 It is therefore important to ensure the path it should take is as clear for it as it would be a user, content and journeys can get messy, creating a website structure document will help you take a step back and look at how this can be improved, what next steps you should offer the user through CTA’s. A site structure improves the user experience, if they find what they’re looking for without effort, your structure is done well. A visitor landing on your site from a search engine could land on any indexed page, if this isn’t exactly what they’re looking for they could leave your page (Bounce) or click another link on your page. If you have a good site structure with a clear navigation, it’s highly likely a user will stay & move around your website. To boost your page rank in the SERPS (Search Engine Results Pages). A clear navigation help’s Google to understand which are the most important pages & how to get there. Follow these steps to achieve a great website structure. Ensure your site is full of internal links, pushing a visitor to move through your site, look at relevant content, hint where to go next, pushing the visitor in the direction you want them to go. To assist Google in understanding your site ensure your have good taxonomy through tags. Tags & categories differ in the fact that categories allow sub-categories whereas tags don’t. Keeping your tags simple and few will make this user friendly, too many tags will just confuse users and make them stay away from using this feature. Google will be unsure which content to rank if you have duplicates. Having unique content throughout the site will add to your chances of ranking well for a variety of keywords. For example, if you have a shop and sell out of a certain product that you will not be selling again, delete this. Leaving the product as sold out will just frustrate visitors. As your website evolves, its is important to review the structure you have created. Making changes to page layout, CTA’s, categories & tags. Ensuring your site is optimised towards the way your business is now running, leaning in the right directions and linking to the best content now available on your site. Ensuing this important step in SEO is up to date, will help Google & therefore visitors & yourself. Any changes to site structure will be picked up over time, but submitting an update sitemap will give Google a nudge to re-index your site. As you can see their are many factors to take into account when creating your site structure. Ensuring this is done correctly is what we do. Either send us what you have for us to look over. Or give us a call and we can create this for you. We will look at what will work on your website and what can be improved. SEO | What is Domain Authority?